There are many different features of a pipette to take into consideration before making your purchase, including ergonomics, fit, ease of use, reliability, accuracy, and precision. Now, lets explore your options so that you can choose the correct pipette tip and prevent costly experimental errors and all the rest. There are so many different kinds of tips to choose from. How do you know which is the best for your pipette and situation? Never fear, that’s what we are here for. Join Linda the lab manager as she explains some of the best practices and feaurtes to consider when purchasing pipette tips for your lab in this Lab Manager video. To watch the full video and read the key takeaways around tip buying, click here. If there is any variation in the shape of the pipette tips, your pipetting will not be precise. Any minor sample varioation can impact results in a negative way. You will want to steer away from cheap tips and buying good quality is generally safer to get minimum variability between tips. The accuracy of your pipette can be affected if the tip does not fit your particular pipette properly. Choosing a tip that is a good fit for your pipette can be a tricky business. Want to try a sample of Biotix high quality pipette tips? Sample a rack for free today! There is always the option to go for the tips that the pipette manufacturer sells, if available. But, very often, the best option for your pipette and application is to use high-quality universal tips. These universal tips can be used with most micropipettes on the market. 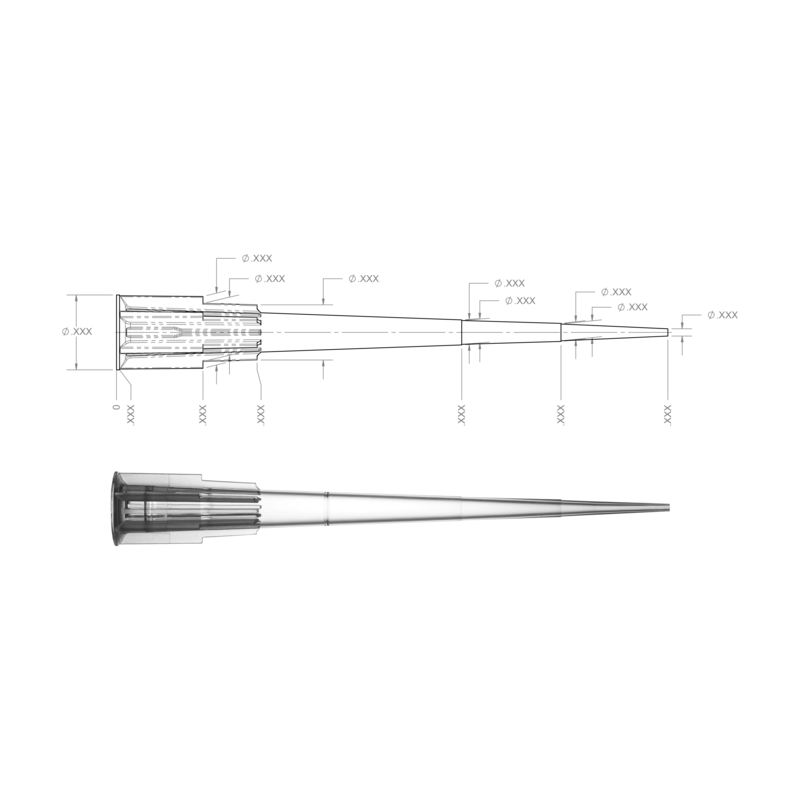 Universal tips are designed to fit securely and tightly around all pipette barrels, which vary slightly in diameter from manufacturer to manufacturer. But of course, all universal tips are not made equal, so you must carefully examine the choices. Biotix tips are compatible with a broad range of industry leading pipettes. Download our tip compatibility chart for Filter Tips or Non Filter Tips and request a free sample to try in your lab today! Non-barrier and barrier tips, or filter tips, are designed for different conditions. You can use non-filter/non-barrier, or standard, pipette tips for many non-sensitive applications. Commonly, laboratories use these tips to load agarose gels, isolate plasmid DNA, and other similar applications. Aerosol Barrier tips, also called filter pipette tips, are fitted with a filter inside the proximal part of the tip. The filter protects your pipettes from aerosols and aspirating volatile or viscous solutions into the barrel, all of which can contaminate and damage the pipette. Filter tips are good ‘training wheels’ for newbies. Many times pipette contamination occurs when a new lab member accidentally aspirates liquid into the pipette itself. It is much easier, and cost effective, to throw away a tip than to send the entire pipette in for repair. No matter which tip you choose, low-retention is a key feature. Low-retention tips do exactly as the name suggests—retain low levels of liquid. If you’ve ever looked at a standard pipet tip, you might see a little bit of liquid left after dispensing. Low-retention tips reduce this from happening because they have a hydrophobic plastic additive that keeps the liquid from sticking to the inside of the tips. In this one minute video demonstration, we aspirate and dispense blue dye to show the performance difference between low retention and non low retention tips. As with most products, you get what you pay for. Well made, properly fitting tips are essential for accuracy, precision, and ease of use. Investing in good quality tips that have been specifically developed for optimal performance is worth the money, unless you are happy with your precision micro-pipette being not-so-precise anymore. Remember that you can usually request samples from different companies to find what works best for your research. Your pipette and tip work together to achieve accurate and precise measurements. The variety of tips can be mindboggling. Using this guide will help you choose the correct tip for each application to give you cleaner, more robust results. If you type on a keyboard, pipette, or do anything repetitive with your hands for a long time, chances are you’ve felt it: numbness in the base of the thumb, pain in the wrist, or a weak feeling in your hand. 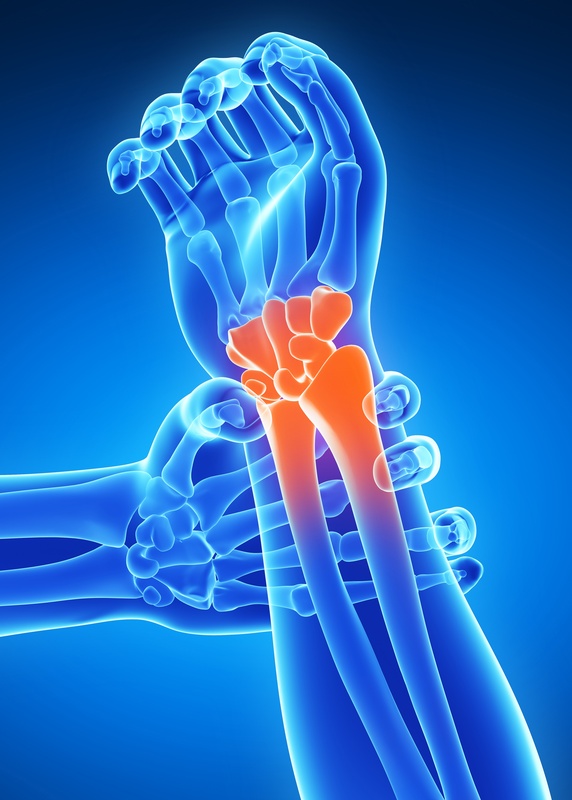 These sensations can come from a lot of things, but the symptoms add up to repetitive strain injury (RSI). With the word repetitive in its name, it’s no surprise that pipetting— the most repetitive part of your job— causes RSI. In this article, we’ll share with you what RSI is, what causes it, and how you can prevent your daily pipetting activities from causing it. RSI is an inflammatory reaction to stress on a joint or limb, where key nerves have rubbed against bone and other structures in the joint. Two main physical issues contribute to RSI: force and repetitiveness. Force in pipetting comes from dispensing the contents, ejecting the pipette tip, and keeping a tight grip on a poorly designed pipette. And pipetting is usually very repetitive, as any laboratory worker knows too well. A single person might go through pipetting motions thousands of times in one day. If you’re pipetting for more than four hours a day (and many lab scientists do), you’re at risk for RSI. Your posture will also help prevent RSI. A tip with a flexible proximal end will reduce the force that required for tip moutning. You should not have to twist your wrist or pound the tip into the end of pipette to get a good fit—all these motions can eventually lead to repetitive strain. The flexible end forms a secure seal with the pipette barrel, so there no banging or rocking necessary. Tip ejection necessitates the second most energy. The ejector button is often located next to the plunger at the top of the pipette, requiring you to move your thumb an awkward half step over and push down. This awkward movement contributes to RSI in the thumb. Pipette companies have taken RSI seriously and now offer pipettes with low-profile ejector button placement. Some pipettes even have adjustable ejector buttons for left-and right-handed users. All of these adjustments reduce the ejection force. As we are all very aware, laboratory sciences can require a lot of resources. While each laboratory, researcher and manufacturer has its own set of specific needs, in general most scientific agencies have a rather large carbon footprint. 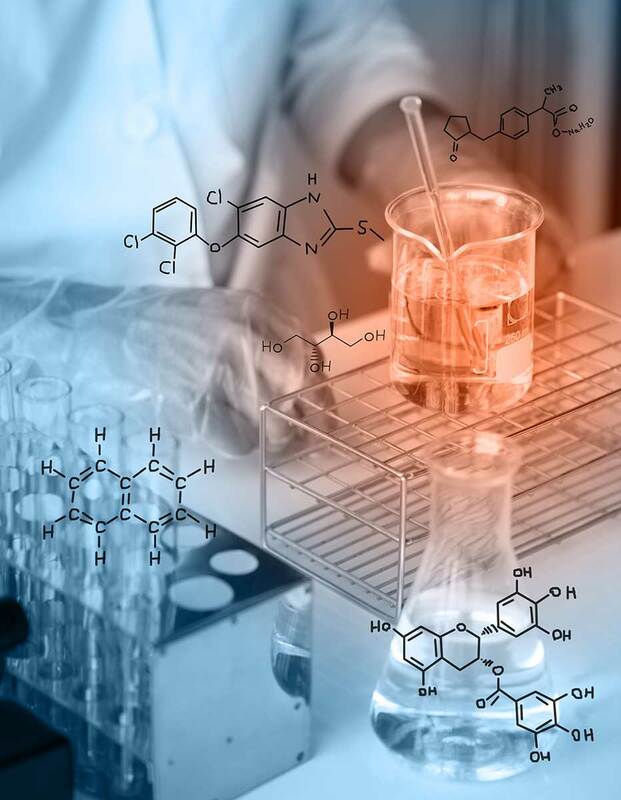 Implementing sustainable laboratory practices into the technology and products that are used daily cannot only reduce the impact of scientific research on the environment but it can also save a significant amount of money. It’s time to feel good and save some resources. Want to reduce the carbon footprint of your laboratory practices? From the ground up, here are a few ways that your own laboratory can cut back on waste and have a positive impact on the world around you. Scientific equipment can be a serious energy hog. In a 2012 energy assessment, UC Santa Cruz determined that their labs were using 24,000,000 kW h/year, using 47% of the total energy used on campus. That’s the equivalent of 2,400 homes. Reducing the amount of energy used on a daily basis in your laboratory can go a long way towards improving sustainability and cutting costs. Since buying all new, energy efficient equipment isn’t usually feasible; here are a few ways that you can cut energy usage in your laboratory on a limited budget. Maintaining equipment needs to be a major part of your eco-friendly laboratory checklist. Freezers, especially, need to be evaluated regularly in order to reduce your carbon footprint. A single ultra-low freezer on average uses ~8000 kWh (~$1000 in annual cost), enough to power an entire house for about 9 months. By maintaining them properly, you ensure that they will continue to function at peak performance levels for as long as possible. This means one less freezer ends up in the landfill due to improper maintenance. You will also significantly reduce your laboratory’s energy usage since improperly maintained equipment generally requires more energy to run efficiently. Use these tips for maintaining your laboratory freezers to ensure longevity and peak performance. Scientific laboratories can produce a significant amount of waste. The scientific process is very materials heavy so designing an eco-friendly laboratory can be challenging when it comes to trash output. While recycling in the laboratory is often the first thing that comes to mind, reducing the amount of resources you use from the very beginning is an even better solution to reduce waste. Recycling is actually very resource heavy and in many cases it actually increases the carbon footprint — especially if you are required to clean and ship the product to have it recycled. 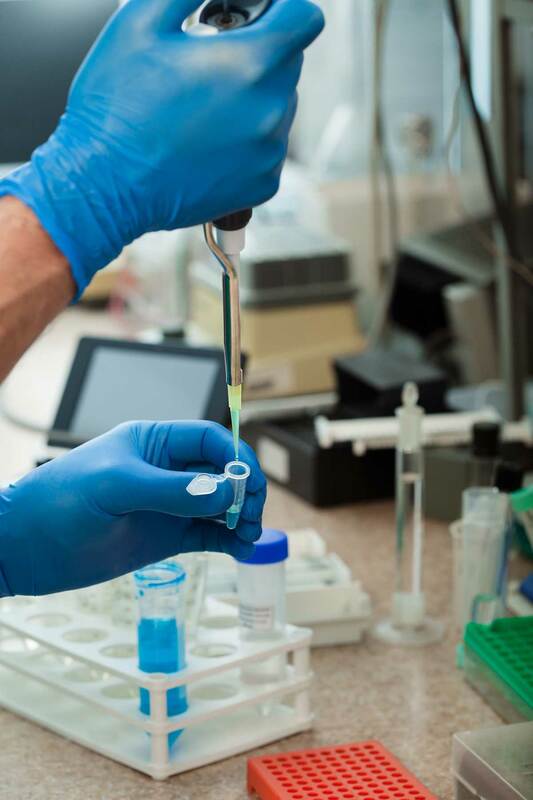 There are several ways to help reduce the amount of materials used in the laboratory, but all personnel must be on board with the program to really see success. While cost is obviously a factor when it comes to laboratory purchases, it should not be the only factor you take into consideration. There are products on the market today from companies that are concerned with their sustainability. Do some research before you open up your next scientific catalog. Linda the Lab Manager walks through the unique benefits of the CleanPak Reload solution by Biotix in less than one minute. Also check out our 3 Ways to Pipette Greener" article to get more tips on how to create a more eco-friendly laboratory! When stored properly, Biotix products have a long shelf life and maintain high quality performance. Store at room temperature and away from prolonged sun exposure which can yellow plastics over time. Maintain a First In, First Out (FIFO) process for inventory control. Biotix discourages autoclaving of robotic pipette tips, PCR tubes and PCR plates due to the warping/ distortion that autoclaving can introduce to these high precision products. Before initiating use of laboratory plastic consumables for a new assay, please review the chemical resistance chart to verify compatibility. Because of the unique applications in life science research (temperature, pressure, contact duration, material stress, etc. ), it is always a best practice to carry out a performance test to your unique protocol. Products such as Biotix microcentrifuge tubes and deep-well plates are often used for sample storage as they can withstand temperatures as low as -80°C. Water density expands by approximately 81 /3% upon freezing, so be sure to have allowance for expansion when placing your samples in the tubes and plates. © 2017 Biotix , Inc. All rights reserved. and names contained herein are the property of their respective owners.